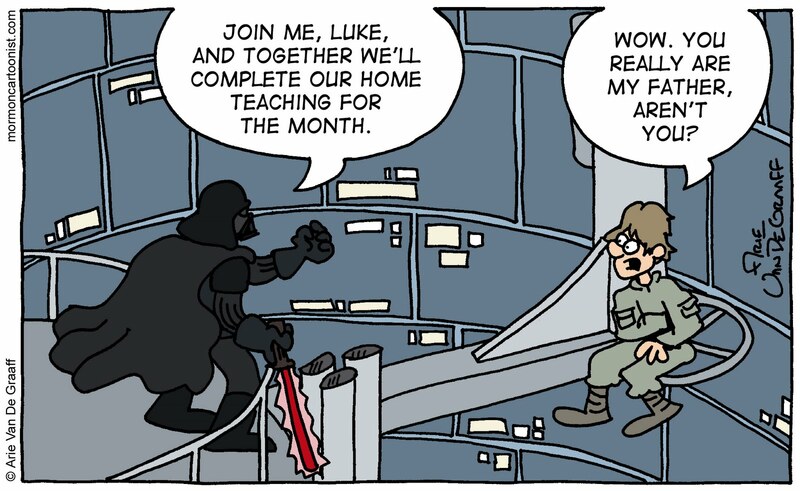 To celebrate the 30th anniversary of The Empire Strikes Back, I'm posting two Star Wars themed gags today. These two coupled with the one on Monday make three, which is the number of movies George Lucas should have stopped at*. Here I imagine what life would have been like had two of Star Wars' most nasty villains been Mormon. 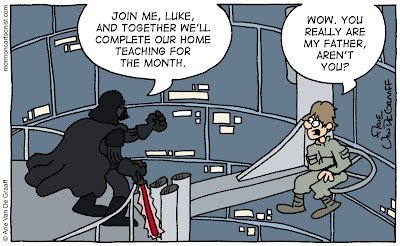 Hopefully, by posting an extra comic today, I've atoned for my failure to recognize Empire's true anniversary last week. And I'll try not to blow it in the future. Rest assured I won't forget to commemorate the 13th anniversary of the George Clooney classic Batman and Robin later this summer. *I'm not one of those fans that thinks the prequel was a total waste. I recognize a lot of good came from the three newer movies. For example, we were introduced to a bunch of cool, new characters; Revenge of the Sith was a pretty fun movie; and (most importantly) the prequels introduced Star Wars to a whole new generation of fans. That said, Lucas' reputation would have been better served had he not tried to stretch one movie's worth of material into three. Love the home teaching one! Especially because it's posted so close to the end of the month! I love the Darth Vader scene! What a great cartoon!! Impressive visuals. The only part from the 1st three prequels I would've missed is the Yoda ninja scene. Anakin and Jar Jar were absolutely painful to watch. Don't be too hard on Batman and Robin. My daughter actually likes that movie. 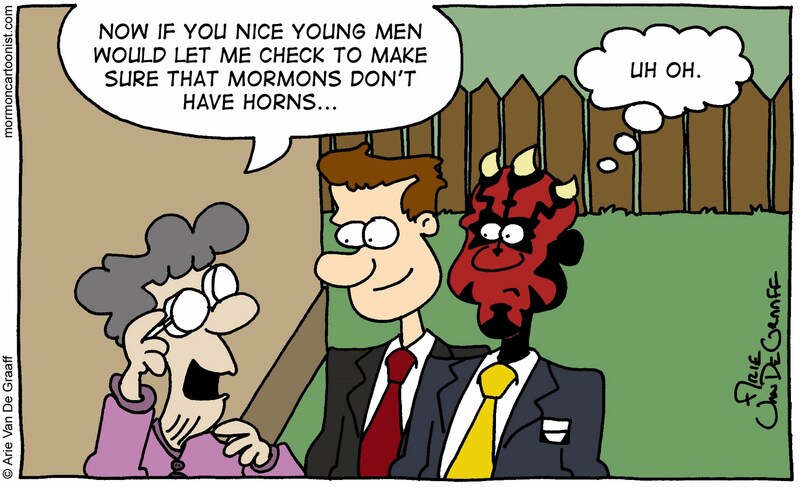 These comics as well as your comments have given me a good laugh. All of my kids like the Batman and Robin movie too (I would show them a good Batman movie but I think Heath Ledger as the Joker would give them nightmares). But that's not saying much since they also like "Down and Derby". These are funny! It is obvious that you are a true Star Wars fan by your attention to detail...like Luke's missing hand. Why don't you do Yoda teaching Luke the force? Good idea, Spencer. Only maybe I'll draw Yoda to look like Spencer W. Kimball and instead of saying "Do or do not, there is no try" he can say, "Do it." Look for it coming in two years when I celebrate the thirty-fifth anniversary of Star Wars.